Nestled in the Andes Mountains, the town of Andahuaylas is in one of the poorest regions in Peru. A high percentage of the population has no access to electricity, running water, or proper sanitation services. Infant and maternal mortality rates are high and malnutrition, disease, alcoholism, and domestic abuse are rampant. Sadly, teen pregnancies are common, mostly due to abuse within extended families. Even children in stable households must often fend for themselves as parents travel great distances to find work. Most children in the outlying villages only have access to primary school, if any school at all, so many are functionally illiterate. Some travel hours each day to get back and forth from school, and in some cases, children must spend weekdays in the city by themselves in rented rooms or with family contacts, opening them up to dangerous and abusive situations. During planting and harvesting seasons, many skip school for weeks because they are expected to help their families with crops. And girls are often not registered in school because marrying early and having a family are considered a higher priority. 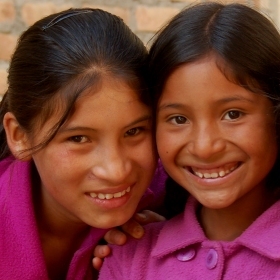 In 2009, the Friends of Peru Children’s Home and Care Center officially joined the ministry of Kids Alive. This ministry opened to help poor, abused, and abandoned children and those who lived too far from a school. Currently the Home and Care Center offers needy kids shelter, nutritious food, clothing, education help, and basic job skill training. A key goal is sharing the good news of Jesus and discipling children who make commitments to follow Him. Other children from the community also come to the center each day for nutritious meals, educational support, and skills training. Additionally, a Bible Club is held for 100 more local children each week, and support is provided in various ways to needy women in the community. With every service offered or resource shared, the staff at Friends of Peru seeks to be the hands and feet of Jesus, reaching out to each at-risk child in Andahuaylas needing love and support. Their needs are many, and we are privileged to be part of showing them the hope that is found only in Jesus Christ. Support the Ministry of Friends of Peru Home and Care Center with Your Gift Today.